Inexpensive flights oftentimes mean long layovers. I've spent what feels like a lifetime in airports around the world. 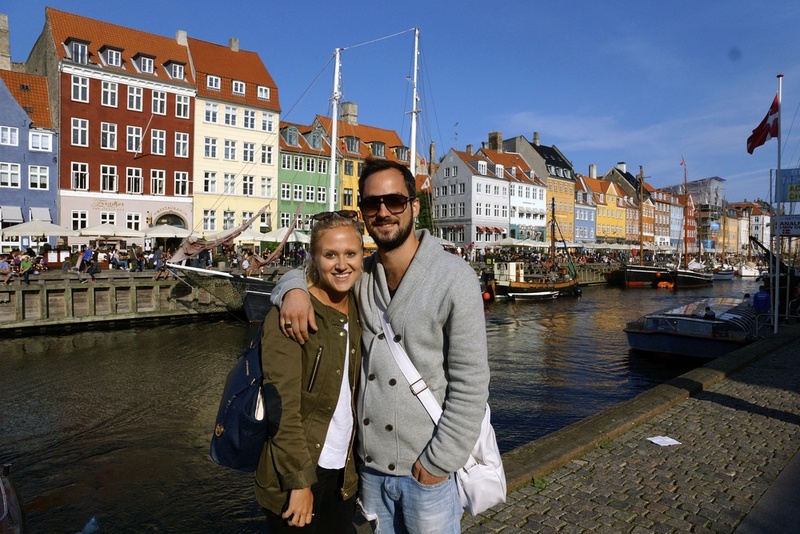 On my most recent layover from New York to Paris, I had a seven-hour layover in Copenhagen, Denmark. Traveling with someone always makes the time pass a little faster, but seven hours is still a very long time to sit in an airport. Since the Copenhagen airport is only 15 minutes from the city center on the metro, Vincent and I decided to spend the day in the city! We made it through immigrations and were on the metro in a matter of 20 minutes after getting off the plane. While seven hours is a long time to spend in an airport, it's not a lot of time to explore a city you've never been to! We took the metro to Kongens Nytorv, a stop in between the largest pedestrian street in the city and Nyhavn - the canal. We headed straight for the canal and started our afternoon at a little café to have a coffee and wake up - it was 7 a.m. for us after all! It couldn't have been a more perfect way to start the day, the sun was out and the colorful buildings along the canal reflected in the sunlight! Since we didn't have time to see the entire city by foot, we jumped on a tour boat guiding us through the city by water. The canal tour brought us to sites such as the Little Mermaid in Churchill Park (the story was written by the Danish author Hans Christian Andersen), the Amalienborg Palace, the Opera House, and the Black Diamond library. The bridges stretching over different parts of the canal are low and narrow – the canal boats were designed to make all of the tight turns and squeeze through the low underpasses! After spending about an hour and a half on the canal we made it back to land and wandered along Strøget – the world’s longest pedestrian street! We stopped for lunch and tasted smørrebrød, an open-faced sandwich typically served on dark brown bread with cold cuts or fish. Legos were created in Denmark, and if you’re looking to buy some you don’t have to go too far – Lego stores everywhere. Before heading back to the airport we visited Kongens Nytorv, “The King’s New Square,” did a little people watching, and made sure to stay clear of the bike lane! After spending a few hours in Copenhagen, I left with a wonderful first impression of both the city and Danish people in general! I’m hoping for another long layover someday, or to return to the city for a few days to finish exploring.